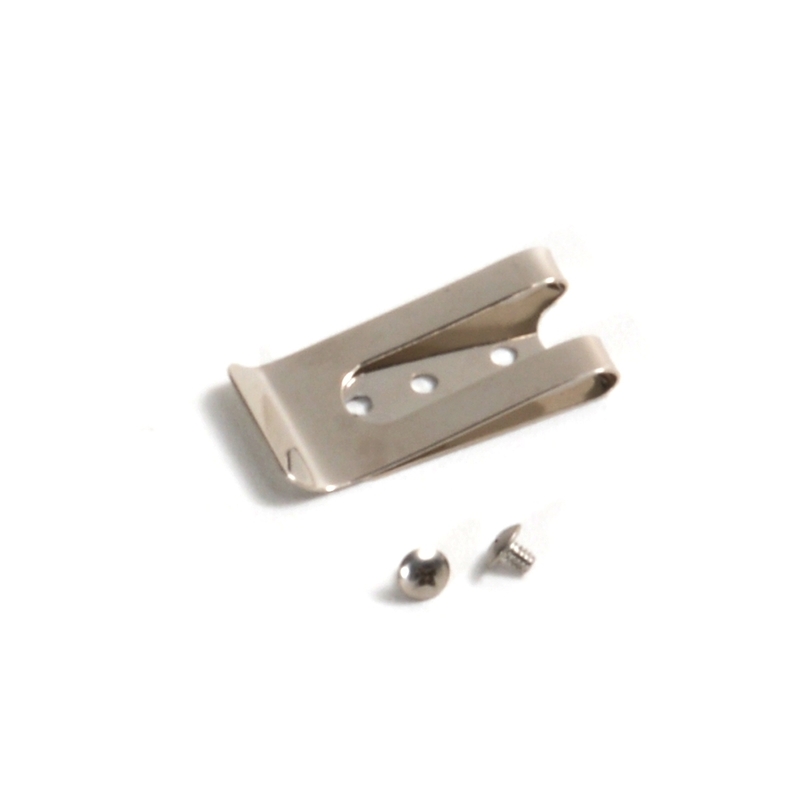 The current Belt Clip is a spring steel belt clip that has three holes in order to align with all of the Lumedyne products that have threaded inserts to accept one or more belt clips. Cyclers made since 2010 have a shorter distance between their two holes and use the top two holes on the belt clip. The Classic products and older Cyclers have a wider distance and use the two holes at the ends. Two small screws that have low wide flat heads and are 6-32 threaded and 3/16 inches long are included.